THOUSANDS OF CHILDREN GO HUNGRY EVERY DAY. . .
"Global Family Outreach Ministry does exactly that, the people involved reach out! Helping the hurting, the hungry and the lost is what Jesus calls all believers to do. As the body without the spirit is dead, so faith without works is dead (James 2:26). The gospel of Jesus Christ is what every person needs. 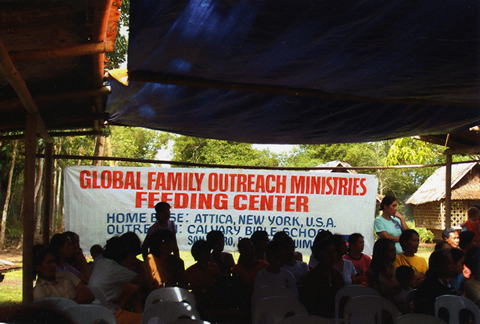 GFOM not only shares the gospel with children and their families, they feed them and restore them. I know anything given towards this ministry will be used toward helping people spiritually and practically."